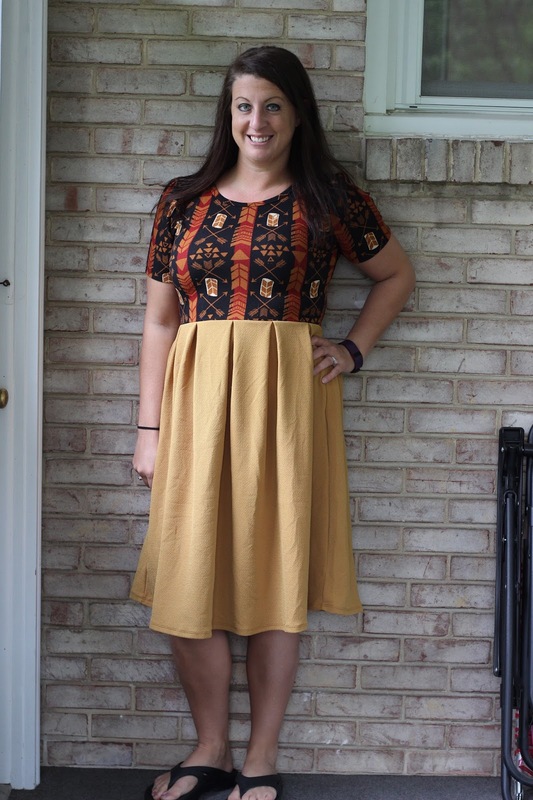 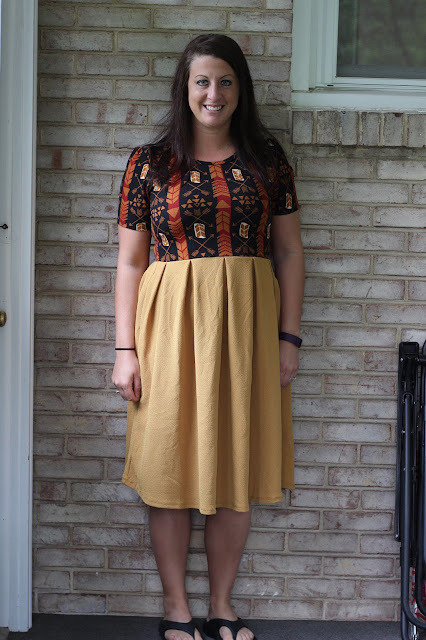 So normally I am NOT a fan of pleated skirts, but I am in love with the LuLaRoe Amelia dress. It has pockets in the pleated bottom which is really nice and wearing one with a print on top is actually flattering because it distracts from my midsection. This dress is super comfortable and fun to wear.